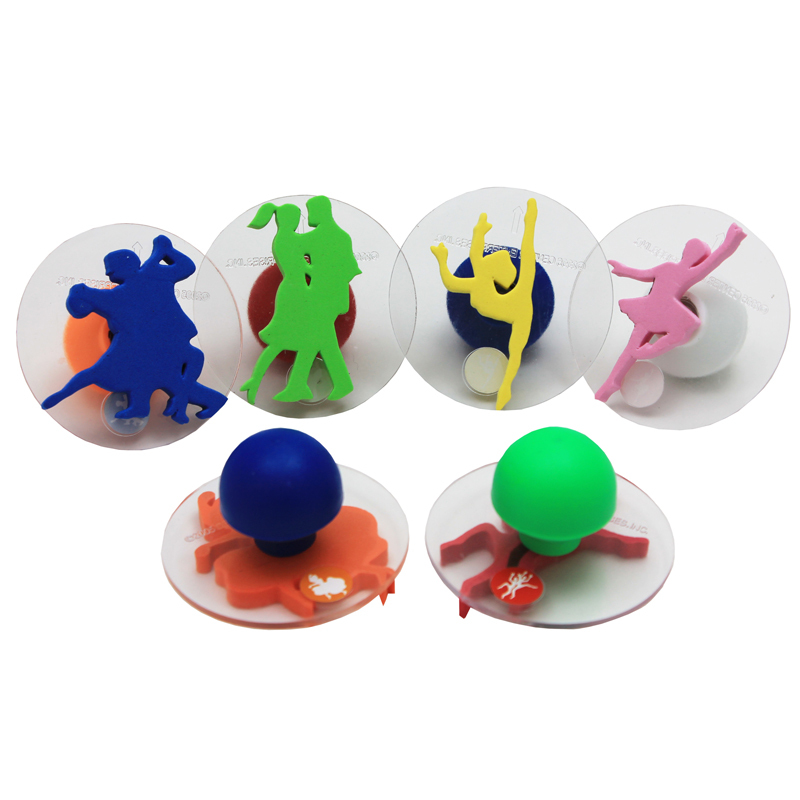 The large knob handles are perfect for a child's grasp and the high density foam is easy to clean. There is a label on the clear surface that makes alignment easy. 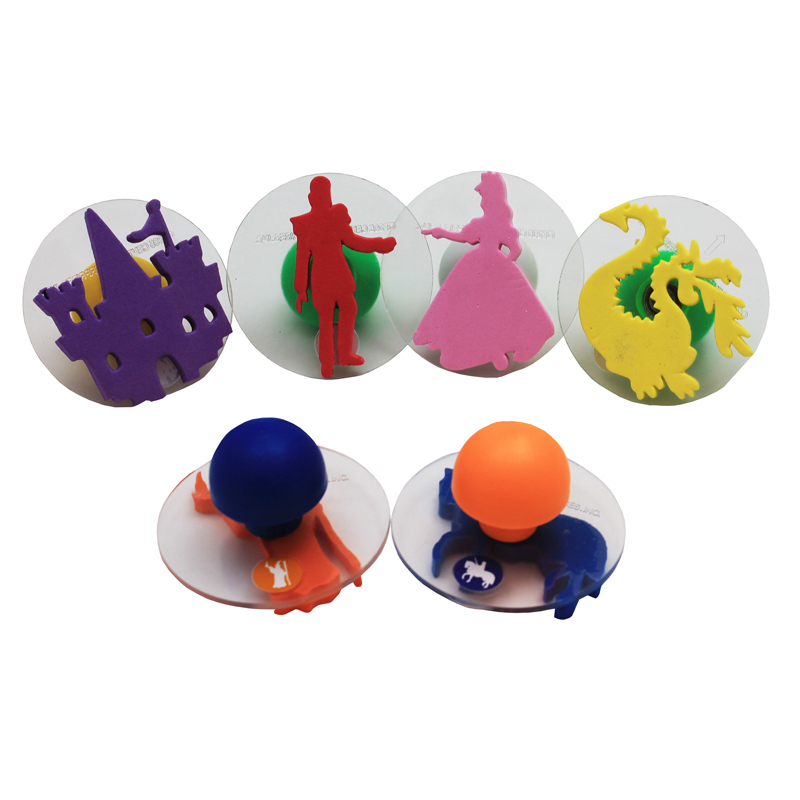 Each set comes in a reusable, plastic case. The stamps work great with our paint or ink pads. Each set of 3" foam stamps includes the following 6 pieces: fire truck, police car, ambulance, tow truck, life star, and tug boat. Sold as 3 sets for a total of 18 stamps. 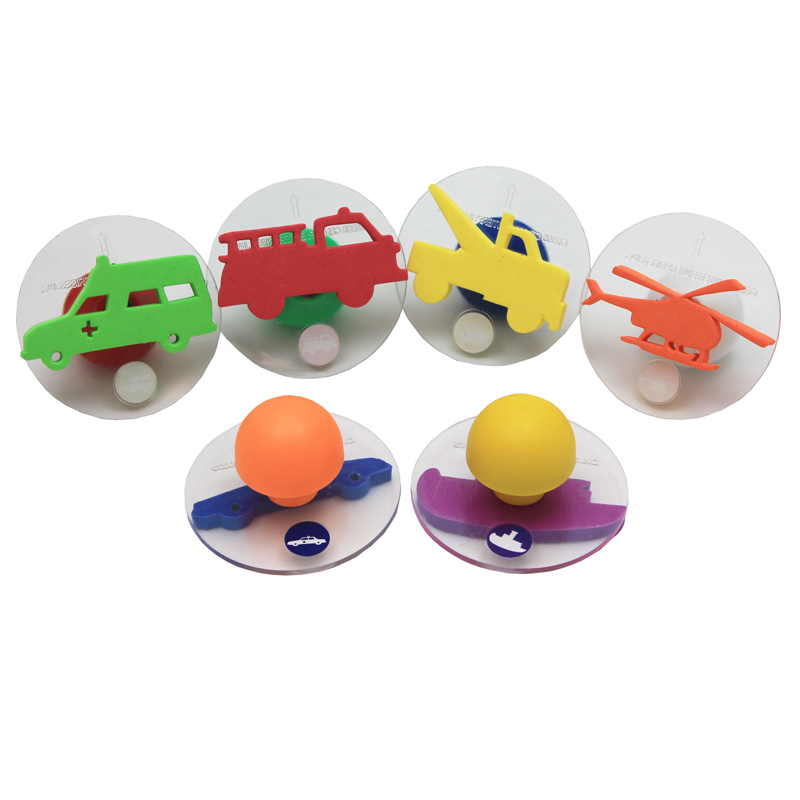 The (3 Pk) Ready2learn Giant Emergencyvehicle Stampers can be found in our Paint Accessories product category within the Arts & Crafts.